Iconoclasm, the debate about the legitimacy of religious art that began in Byzantium around 720 and continued for nearly one hundred and twenty years, has long held a firm grip on the historical imagination. This is the first book in English for over fifty years to survey this most elusive and fascinating period in medieval history. 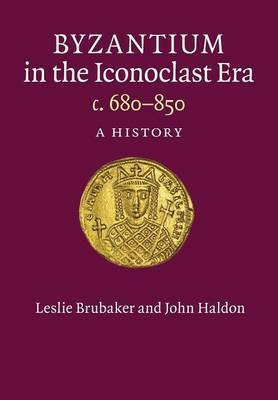 It is also the first book in any language to combine the expertise of two authors who are specialists in the written, archaeological and visual evidence from this period, a combination of particular importance to the iconoclasm debate. The authors have worked together to provide a comprehensive overview of the visual, written and other materials that together help clarify the complex issues of iconoclasm in Byzantium. In doing so they challenge many traditional assumptions about iconoclasm and set the period firmly in its broader political, cultural and social-economic context.